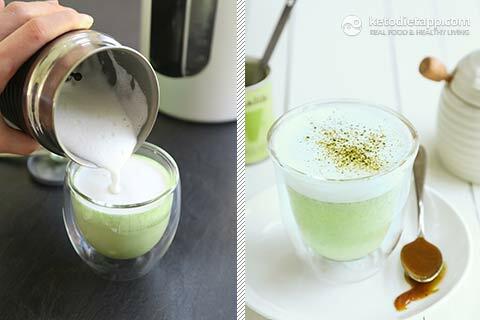 Matcha latte has taken over the social media - especially Instagram. 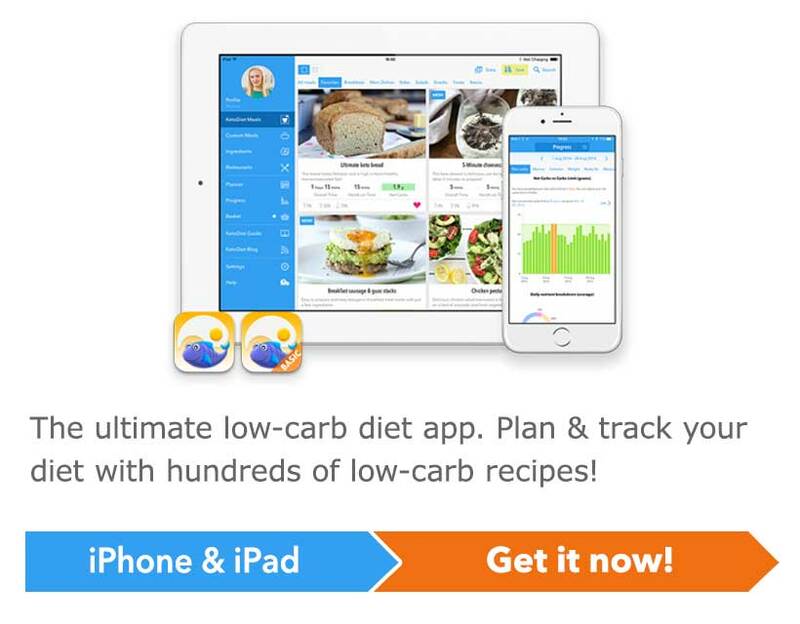 Most of the recipes that I've seen use only 3 ingredients: almond milk, matcha and sweetener. 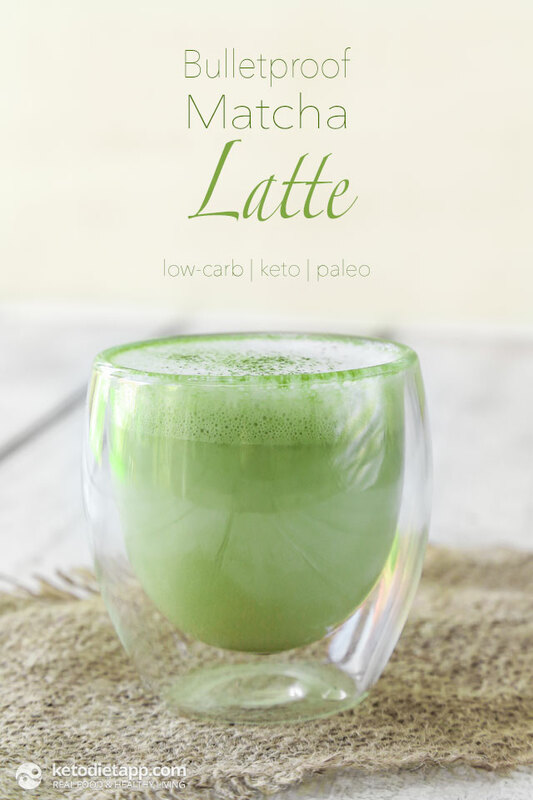 To make it more suitable for the ketogenic diet, I prepare my matcha latte with coconut milk and a tablespoon of either coconut oil, MCT oil or Brain Octane oil - in a similar way that you would prepare Bulletproof coffee. 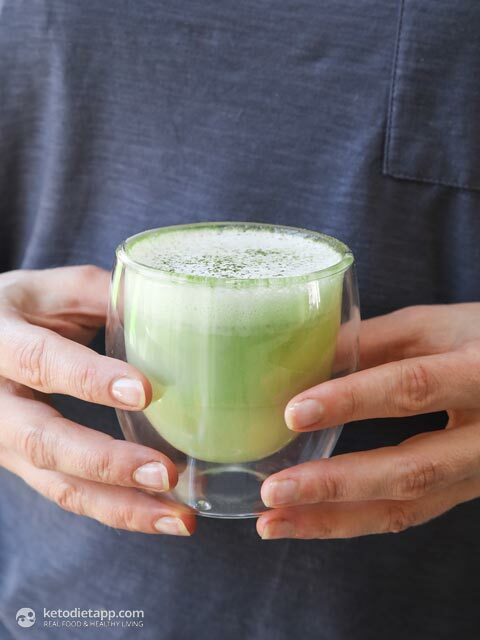 While matcha is very high in antioxidants and mind-calming amino acid (L-theanine), coconut milk and oil both provide a quick source of energy. Enjoy a cup for breakfast, afternoon snack or on a fat fast - it's a liquid fat bomb with 94% of calories from healthy fats. Speaking of fat bombs, many thanks to Amy Berger of Tuit Nutrition for her review of my latest Fat Bombs Book! Note: I received a free sample of Bulletproof Brain Octane Oil and Coffee, both of which I will review in a future post. 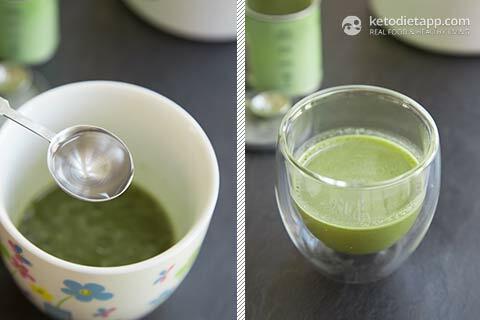 If you are new to matcha, start with just 1/2 tsp matcha powder and add more to taste. Make sure you use liquid coconut milk like Aroy-D, do not not use coconut cream or creamed coconut milk. Avoid using coconut oil if making ice latte - coconut oil will solidify in cold drinks. First, you need to mix the matcha powder in hot water. You can use a bamboo whisk or a frappe maker/ milk frother. Add Brain Octane Oil and whisk again. Pour in a serving glass. To make the coconut milk froth, I used a milk frother. Apart from using a milk frother, I described other methods for frothing in my Low-Carb Cappuccino recipe. Do you think this would work with non-canned coconut milk? This looks amazing! There is a phenomenon called "disaster pants" associated with Bulletproof coffee so I have been nervous to try it. Does this also happen with matcha? 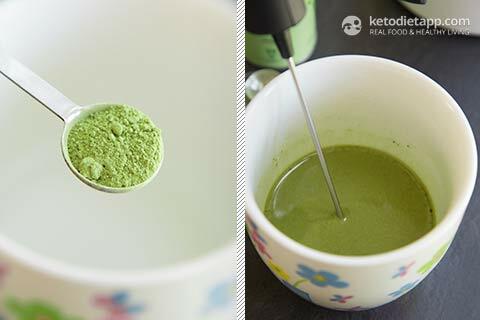 I recently purchased some matcha powder but wasn't sure what to make with it. This looks scrumptious! Thanks for sharing.